Roll back the years on a timeless Triumph motorcycle at Velocity Moto. Discover the unparalleled heritage of this two-wheeled classic and experience the quality and craftsmanship of a pioneering motorcycle brand whose history dates back to 1902. An iconic addition to our moto range since 2014, you can now choose from the compelling Adventure and Touring bikes, as well as cruisers, roadsters and supersports models. Or make a great escape on one of our modern classics and join the ranks of true legends in motorcycling history. 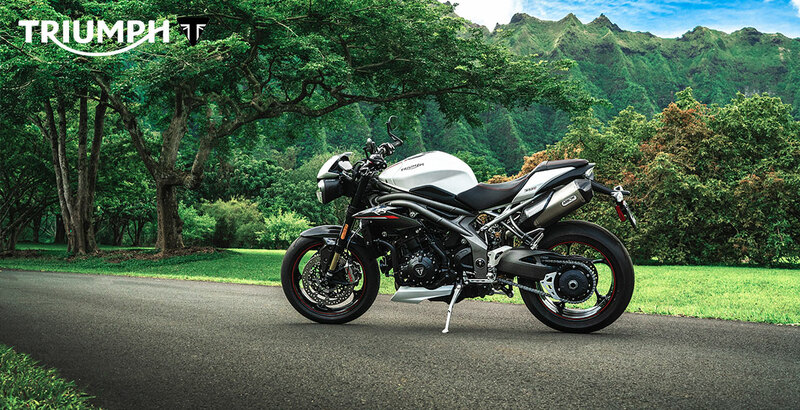 Discover the timeless quality of Triumph at Velocity Moto. To find out more about this iconic British brand, call any of our numbers below or email us moto@jnautomotive.com and a Triumph Motorcycle specialist will be available to answer any of your questions.